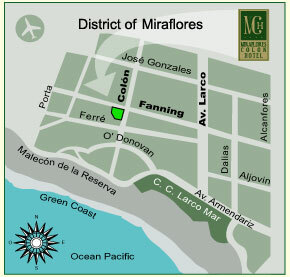 The Miraflores Colon Hotel is located in the heart of the exclusive Miraflores district, only a block away from Larcomar and a few blocks from the best restaurants and shops, and approximately 30 minutes away form Jorge Chavez International Airport. 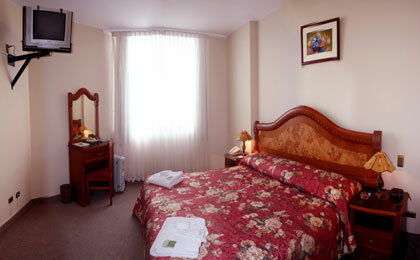 We have rooms with jacuzzi and a spectacular seaview. 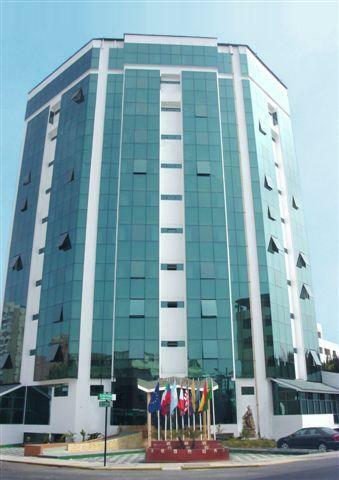 The Miraflores Colon Hotel is located in the heart of the exclusive Miraflores district only a few blocks away form its business area, best restaurants and shops, and approximately 30 minutes away form Jorge Chavez International Airport. Is fully carpeted and offers a queen size bed, a full size bathroom with a hydro massaging bath tub, fully stocked mini bar, telephone with national and international access, cable TV, smoke detector and central air conditioning. Offers two queen size beds, a full size bath room with a hydro massaging bath tub, fully stocked mini bar, telephone with national and international access, cable TV, smoke detector and central air conditioning. Offers three queen size beds a full size bath room with a hydro massaging bath tub, fully stocked mini bar, telephone with national and international access, cable TV, smoke detector and central air conditioning. ** Rates include a 10% service charge. Rates do not include 19% Sales Tax (or IGV), only applied to Peruvian and Foreigners with more than 60 consecutive days in Peru. Foreigners must present the Andean Immigration Card (TAM) and original Passport at check in; so you will not be subject to this tax. Rooms with Queen size bed , carped wall to wall, private bathroom, frigobar,, telephone with national and internation direct dial , tv cable , fire detector .. It is the district of gardens and the busiest beaches of the city. Without a doubt, it is also the touristic and hotels district par excellence. 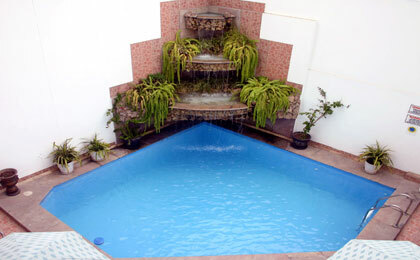 Modern, cheerful, colorful, very pleasant to stroll about and enjoy the large commercial areas, parks and green spaces. It is an area of intense artistic and cultural activity which unfolds in the good theatres, cinemas and art galleries; and it is also the site of the pre-Inca temple Hauca Pucllana. Visit its cafes, pubs and restaurants and take in the fresh air at its restored gardens which on Sundays, attracts hundreds of locals and tourists to the painting exhibitions and music events. You can choose from our selection of exquisites menu and buffets of National and Internationals dishes for all occasions, wich will be presented at your event with uniquely designed decoration . 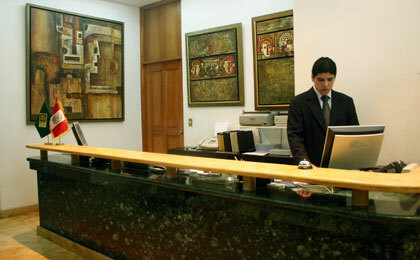 La Rosa Nautica is one of the most exclusive restaurants in Lima. The restaurant is built on pilings out away from the shore and literally sits on top of the pounding waves. While you eat, you can watch surfers and beachgoers. Located in an unparalleled setting -- within the compound of 1,500-year-old construction of an adobe pyramid built by the original inhabitants of Lima -- is one of the city's greatest dining surprises.